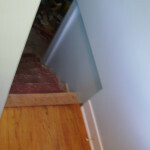 Renovation of a back entryway leading down to the basement and left up to the kitchen. 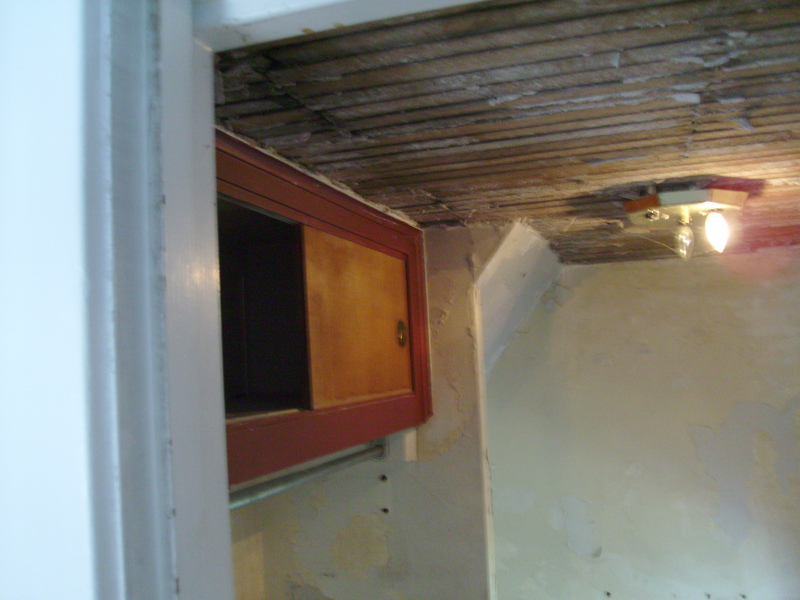 Above is a picture looking from the kitchen at the entry way ceiling and shelf before we started the job. 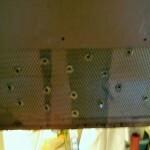 The picture to left is also looking from the kitchen to the landing wall after starting to remove unstable horse hair plaster. The upper portion of the wall has been untouched by me at this point. 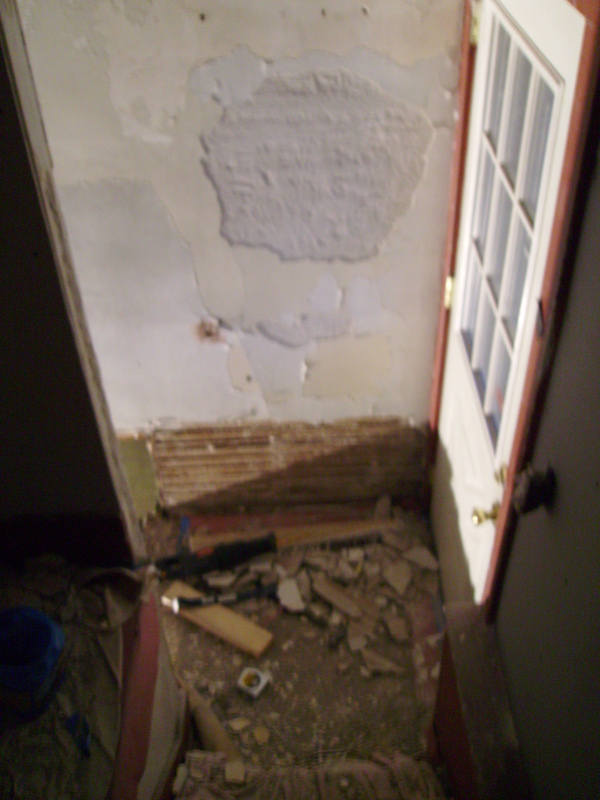 Most of the shown wall needed to have the old plaster removed and new blueboard installed. 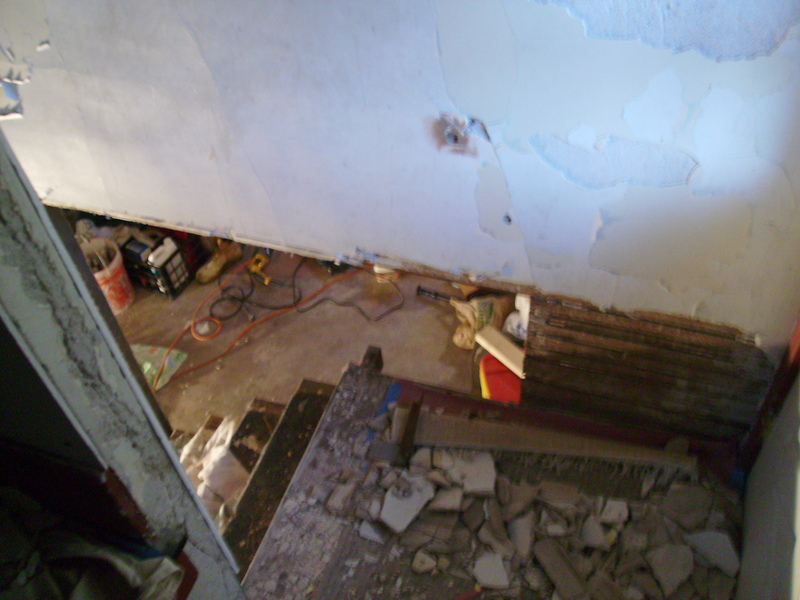 Here is a view looking at the wall at the top of the stairs leading down to the basement. I added a wall where there is not one adjacent to the stairs. This portion of the wall had fairly stable plaster but steel lathe was added because the paint was to questionable to apply a bonding agent and resurface with plaster. 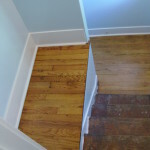 Here is a view from the kitchen after we plastered, painted and refinished the hardwood floors. All that was left to do was to paint the stairs. Here is what the it looks like with the new wall installed going down into the basement. The picture to left is taken from the landing looking into the kitchen. 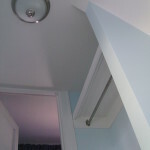 The shelf was removed and the walls were resurfaced before a new shelf and coat rack where installed.